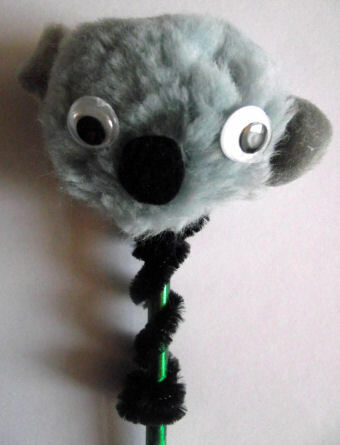 You never need to be too far away from a koala with our cute little koala pencil toppers! Make one for yourself and some for your friends too! Glue a small pompom onto either side of the large pompom. These are your ears. Cut an oval of black felt for the nose. Glue on the nose and eyes. Bend the pipe cleaner into a spiral by twisting it around a pencil then slipping it off again. Glue one end of the pipe cleaner to the bottom of the pompom. Leave to dry. Push the pipe cleaner back onto the pencil. 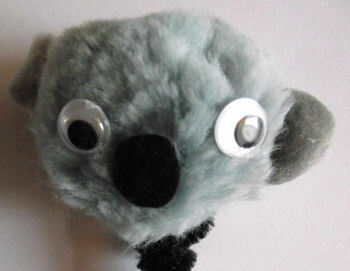 All children love koalas - and they will love making and dressing up in this cute koala mask! This very cute koala is a simple model to fold and makes a perfect project for beginners who are looking to push themselves just a little.